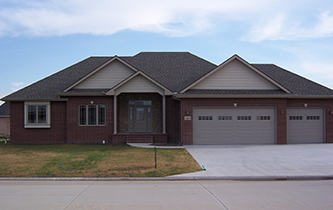 When you make the decision to build your dream home, it’s important to trust the right home builders in McPherson, KS. For unparalleled levels of experience, expertise and excellence, that means choosing Boesker Construction, Inc! We take pride in being a full-service home builder, working with customers to help bring their vision of the perfect living space to life. From the foundation of your new home to the highest roof peak, you can count on us to build your ideal home. And, even beyond the house itself, we’re your trusted builder for decks, patios, sheds and more! Where other construction companies in McPherson, KS cap their projects at a certain size or won’t do smaller builds, Boesker Construction, Inc will take on any project. We take pride in our abilities and we strive to deliver excellence to every customer we have the privilege of working with. Whether you’re trusting us for a simple bathroom remodel or you’re building a whole new home, know that you’re getting quality through and through. We invite you to contact us today regarding your next building project and see why people have chosen us for more than 30 years for building services big and small.